with your Windows Mobile Phone. With a few finger movements you listen to your favorite music, find artist or rank your favorite songs. Open your videos with a hint. Several videos can be played sequentially in a playlist. Your favorite TV broadcasts at a glance. Plan your TV broadcasts and create record schedules for them easily. All with just a few taps on the screen. MCC for Android is released. You can purchase it in the Android market. It's done. The first version is ready for download. The starting point for all major functions of the Media Center Control. Always fast to get through the green home button. 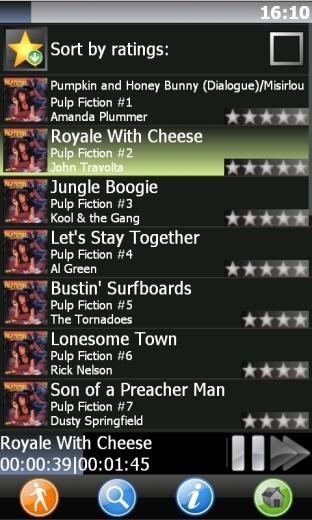 Here you see the media of the current playlist at one glance. The ratings are displayed and can be changed easily. 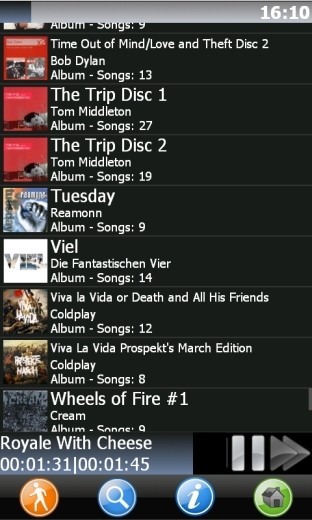 You can view all the albums, artists or genres to display in a view. 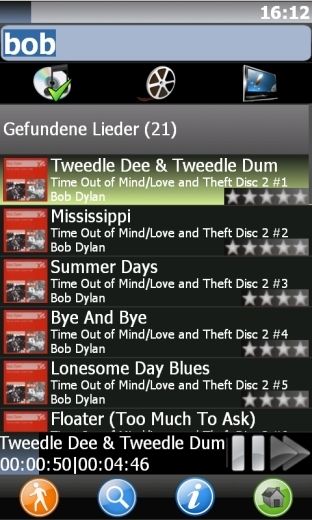 The cover images are automatically displayed. 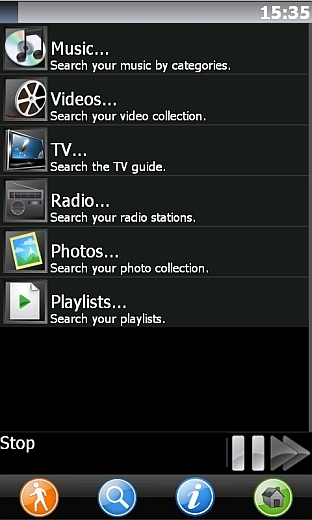 With the blue search button you can quickly and easily find your favorite content. Whether music, videos or TV broadcasts.